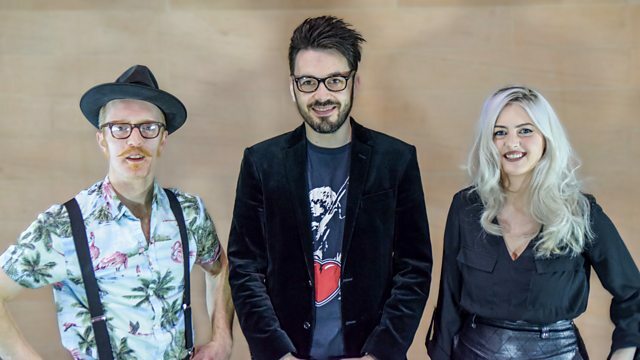 A BBC Introducing bill with singer-songwriter Louise Connell from Airdrie and Glasgow's The Strange Blue Dreams, who specialise in skiffle-inspired pop. Roddy welcomes two BBC Introducing acts to the show this week. Louise Connell is a singer-songwriter from Airdrie previously releasing music under the name Reverieme. She's received huge critical acclaim following the release of her first solo album Straw Woman. Meanwhile, Glasgow band The Strange Blue Dreams will perform songs from their self-titled debut album which combines soaring vocal harmonies with dance beats from New Orleans and twanging jazz!